Many business owners have heard the term “SBA”, particularly in relation to SBA loans, but are unsure of exactly what the SBA is, how it can help small businesses owners and the types of loan programs that the SBA offers. This article will provide an overview of the SBA, an explanation of typical SBA loans, a summary of the three key SBA loan programs and a description of important legal considerations involved in SBA financing. Created in 1953 by President Eisenhower, the Small Business Administration (“SBA”) is an agency of the federal government whose purpose is “to maintain and strengthen the nation’s economy by enabling the establishment and viability of small businesses”. SBA programs are designed to support small businesses and entrepreneurs by providing access to capital, contracts and counseling. The SBA is governed by an Administrator (who must be confirmed by the Senate) supported by a team of deputy and local administrators. The current SBA Administrator is Linda McMahon, the former co-founder of the World Wrestling Federation (WWF). Although its loan programs are the SBA’s most visible feature the agency also offers business owners free entrepreneurial development programs through a series of centers, including Women’s Business Centers, the Service Corps of Retired Executives (SCORE) Centers and Veteran Business Outreach Centers. The Massachusetts SBA District has offices offering programs in both Boston and Springfield. Rather than providing direct capital to small businesses, the SBA partners with lenders (typically commercial banks and credit unions) to guarantee portions of eligible loans against default. By receiving the SBA’s guarantee, the lender has more flexibility to provide loans to small businesses they may otherwise deny as the bank no longer fears 100% exposure if the SBA loan ends up defaulting. 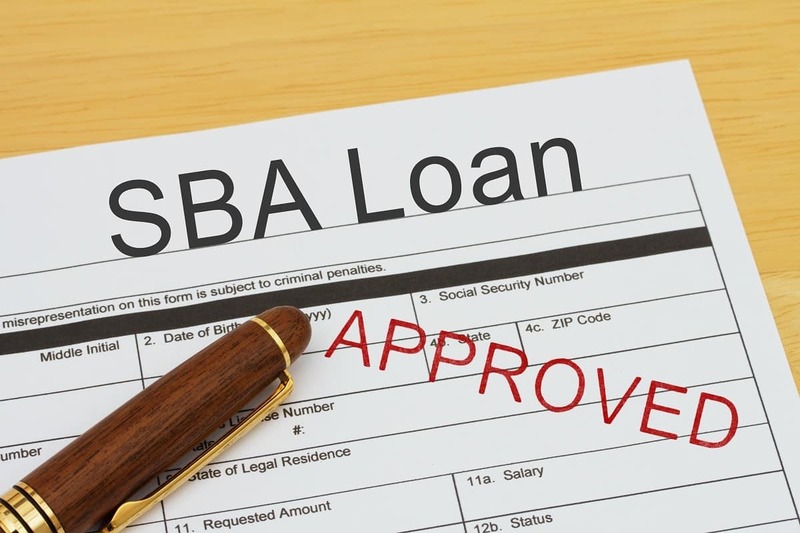 As a result, when considering a loan to a small business that is SBA eligible, the lender can have less stringent underwriting requirements, the loan can have longer repayment periods and better interest rates, and the down payment required to purchase commercial property can be reduced. SBA loans can be for up to a maximum of $5 million, although the typical loan is much smaller – $375,000 was the average loan amount in 2016. How Do the SBA Loan Programs Differ? There are three key SBA loan programs: the 7(a) program, the 504 program and the SBA Express program. 7(a) Loans: The most common SBA loan program, 7(a) loans can be used to start a business, purchase a business or assist in the acquisition, operation or expansion of an existing business. They can also be used for equipment or commercial real estate. The SBA can offer guarantees of up to 85% on 7(a) loans under $150,000, and up to 75% on 7(a) loans over $150,000. The typical repayment period on a 7(a) loan is 25 years for real estate, 10 years for equipment and seven years for other business purposes. As of May 2017, the maximum interest rate on a 7(a) loan of more than $50,000 with a repayment term of 7 years or more was 2.75% over the prime rate. 504 Loans: Businesses looking to purchase or refinance commercial property or equipment usually chose the 504 loan program. In the 504 program, the SBA utilizes a Certified Development Company (“CDC”) to partner with the Lender on the loan. Typically, the lender loans the business 50% of the total cost, the CDC funds 40% of the total cost and the business contributes 10% as a down payment. This structure allows for 90% financing (significantly lower than the 20% typically required in a commercial property loan), as well as longer loan amortizations and the option of fixed interest rates. Repayment periods are usually 10 or 20 years and interest rates are correlated with the prime rate for 5 and 10 year rates issued by the U.S. Treasury. Express Loans: The Express loan program offers an expedited process and is a very convenient choice for business looking to establish a line of credit. The maximum amount of an Express loan is $350,000 and the SBA guarantee is 50%. The maximum interest rate for loans over $50,000 is 4.5% over prime (which is significantly higher than a traditional 7(a) loan maximum of 2.25% over prime). The benefit here is the quick turnaround and ability to establish a line of credit. What are the Legal Issues involved in SBA Loans? Corporate Records and Authorizations: In order to close and fund an SBA loan, the business will need to provide corporate records certifying ownership of the business, the business organizational documents and structure, and a good standing certificate. The business will also need to produce correct authorizations to show that the transaction is being entered into lawfully by the business. Finally, a legal opinion will need to be issued by an attorney attesting to the good standing of the business entity and due authorization of the documents by the business. Waiting until the last minute to consult with a business lawyer to ensure all of the corporate records and authorizations are in order can significantly delay the closing and funding of the loan. Prepayment Penalties: Depending on the loan program and the lender, the Promissory Note may contain prepayment penalties that would result in a fee if the business owner paid the loan off or refinanced it within five years. Depending on the projected growth of the business, assessing the implications of a prepayment penalty is important. Financial Covenants: In certain SBA transactions, the lender may seek to include particular financial covenants in the Loan Agreement that the business owner must comply with or risk being in default. For example, a “debt service coverage ratio” covenant will require the borrower to have a certain ratio of available liquidity sufficient to cover the annual debts. Recognizing and understanding financial covenants is critical to helping the business stays in compliance with its obligations. Asset Liens: The lender and the SBA will seek to obtain collateral for the loan, which almost always includes a lien on the assets of the business. Understanding and assessing the impact of the asset lien is important as the business plots their growth strategy and may require more credit or seek to purchase additional equipment or real estate in the future. Commercial Mortgage: If the loan is being used to purchase real estate, a commercial mortgage and assignment of leases and rents will be recorded against the property. The business owner must know and comprehend the terms of the mortgage and how the assignment of leases and rents works. Personal Guarantees: All SBA loans require that the principal owners of the business provide a personal guaranty in the event that the business stops paying the loan. Business owners need to understand the implications of a personal guaranty and how it affects their personal finances and credit. Personal Residence Mortgages: In some instances, the business collateral is not sufficient for the lender to agree to make the loan unless the business owners agree to allow a mortgage on their personal residence in favor of the lender. Again, this warrants careful consideration and if the home is owned jointly with a spouse, the spouse will also be required to enter into certain legal documents. As with any legal transaction, having an experienced attorney review and negotiate the financial documents, evaluate the potential risks and rewards of each aspect of the deal and discuss how the transaction fits in with the growth strategy of the business is invaluable. 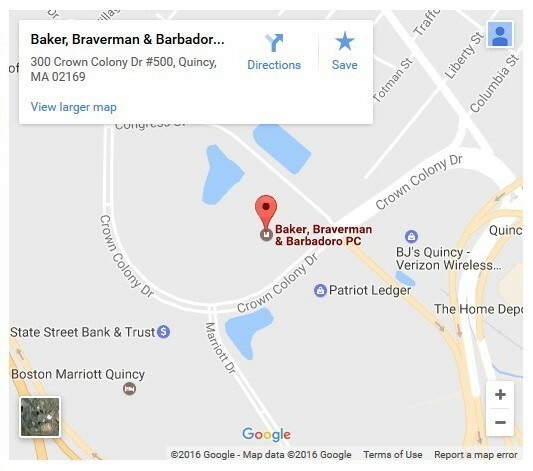 The SBA attorneys at Baker, Braverman & Barbadoro, P.C. have represented both business owners and lenders in all manner of SBA loan transactions. Our SBA lawyers are here to guide you through the process and ensure a smooth transaction so that you can focus on growing your business! – Theresa Barbadoro Koppanati.